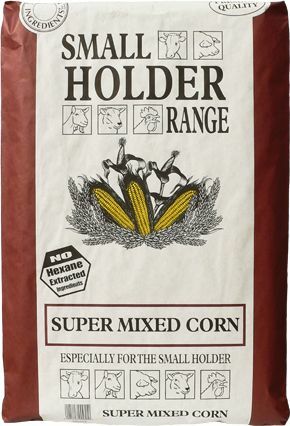 Super Mixed Corn is made from wheat with Non-GM maize, peas, added calcium and grit. A healthy and nutritious mixed corn treat for your birds. Wheat, Maize, Peas, Limestone (Calcium Carbonate), Grit, Rapeseed oil. • This product contains calcium granules (adding calcium to the diet) and hen grit to help break down food, in turn aiding digestion.